The CTS was the car that launched what was dubbed the “Cadillac Renaissance” back in 2002. It introduced the world to the brand’s “Art & Science” design language and brought in a flood of new buyers who might have otherwise been drawn to luxury imports. But the latest, third-generation model, launched during the 2015 model-year, has struggled in the marketplace. The CT5 will be offered with both 2.0- and 3.0-liter turbo engines, as well as all-wheel-drive. 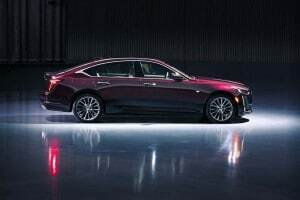 While Carlisle acknowledged that Cadillac must depend on utility vehicles like the new XT6 to carry more and more weight, the hope is that the CT5 will be able to draw back buyers who like the more aggressive looks of a traditional, “three-box” sedan. They remain particularly important in China, a critical market for Caddy, and a place where sedans remain a popular body style among luxury buyers. As with other recent models, Cadillac’s new four-door opts for a more sculpted take on the Art & Science design language. CT5 is more rounded than the older versions of the CTS, with a sweeping, almost fastback-style roof. There are still some familiar creases, such as the shoulder line that links head and taillights, as well as the folds on the hood that create a “power bulge.” The LED daytime running lights, meanwhile, retain the vertical lamp theme that has become a Cadillac trademark. “The sedan becomes a driver’s car,” said Andrew Smith, Cadillac’s global design director. “It’s got great proportions, it’s really, really wide. Like the XT6 (SUV) it has an aggressive front for the sport version” with all black instead of chrome accents. The overall look is wide, bold and aggressive and it’s in keeping with what Carlisle said will be an increasing emphasis on performance. Initially, there will be two engines available, a 2.0-liter turbo-four and a 3.0-liter turbo-six, but observers expect that Caddy will add a V-Series variant in the next several years. It has several engine options available for that package. All models feature a new 10-speed automatic. The CT5 also gets the latest Caddy Cue infotainment system. 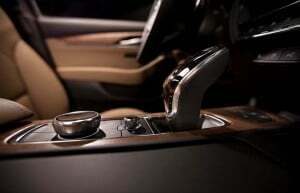 The two engines will share a 10-speed automatic transmission and buyers will be able to opt for all-wheel-drive. It’s expected there will be a performance mode that can offer torque vectoring on the CT5 Sport. That helps steer an AWD model through the corners more aggressively. That should help attract a more youthful audience, Cadillac is betting on a shift in its marketing efforts. While it is returning to the PGA with a new sponsorship, it also had a high-profile presence on the recent Academy Awards. And it reached out to the young and hip on Monday with the debut of the “Sensory Symphony” social media campaign. Cadillac claims this isn’t just another series of online pitches but something that relies on what is called “autonomous sensory meridian response.” More mercifully shortened to ASMR, it relies on hyper-realistic visual and sound imagery – such as the crackling sound of a cigarette burning – to more deeply engage the viewer. 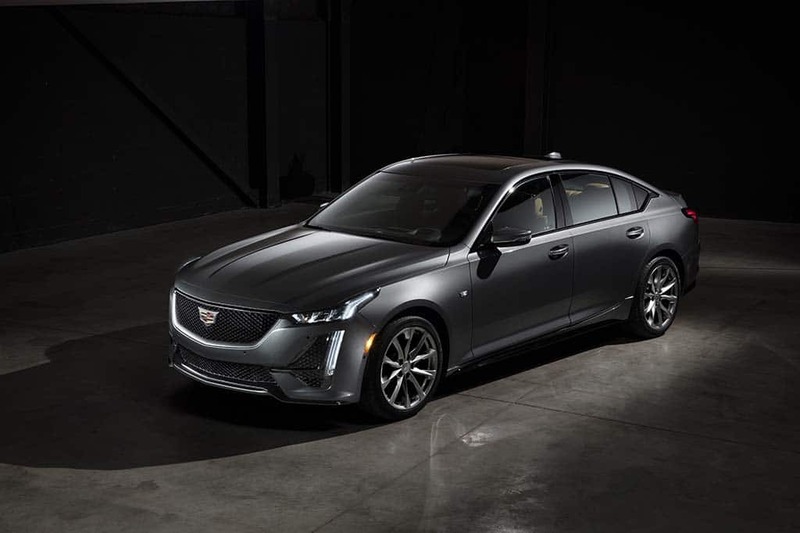 The launch of the CT5 continues Cadillac’s plan to roll out a new or completely updated model every six months through the early part of the coming decade. That campaign will include the debut of Caddy’s first all-electric model in the “2020-ish” timeframe, Carlisle told TheDetroitBureau.com last week. That battery-SUV will be the first to use an all-new, skateboard-like “architecture” that eventually will be shared with the rest of the GM global brands. Caddy itself plans to roll out a wide assortment of battery-electric vehicles. 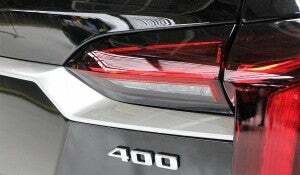 Cadillac is adopting a new badging system that will promote the vehicle's torque rating. Turbo models will carry a “T” designation, perhaps 400T, and Caddy has another letter in place for electric models, though it won’t say what that is yet. The approach makes sense, Carlisle suggested, considering the gobs of torque electric vehicles produce. And even with conventional engines, displacement has become less relevant with turbocharging, one reason European brands like BMW and Mercedes-Benz often use numeric designations reflecting what an engine would displace if it didn’t have a turbo. We’ll get a first look at the new naming strategy in the months ahead as Caddy brings out several new models, including the CT4 replacement for the current ATS model. The automaker will continue to reveal a new “Sensory Symphony” video each week through the CT5′s official launch in the Big Apple on April 16. 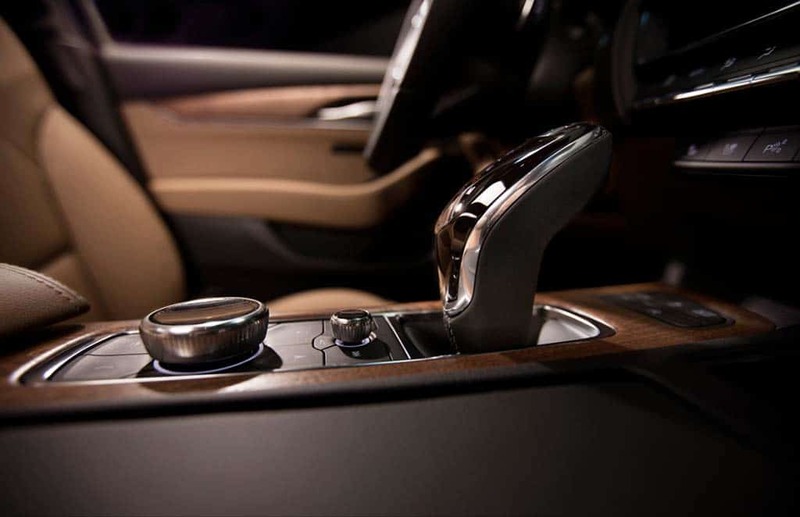 This entry was posted on Monday, March 18th, 2019 at and is filed under Auto Shows, Automakers, Automobiles, BMW, Business, Cadillac, China, Crossovers/CUVs, EVs, Electrified Vehicles, First Look, GM, Infotainment, Luxury Vehicles, Markets, Mercedes, New York, Product Reveals, SUVs, Sales, Sedans, Technology, Trends, U.S./North America. You can follow any responses to this entry through the RSS 2.0 feed. Both comments and pings are currently closed. Think of the money that could be saved if only Caddy and Lincoln would give up the ghost. Just think of the money that could be saved if other low volume marques like Acura and Infiniti gave up the ghost. Not to mention others like Range/Land Rover and Jaguar.